It's been a little bit since I've linked up with Miss DeCarbo at Sugar and Spice! 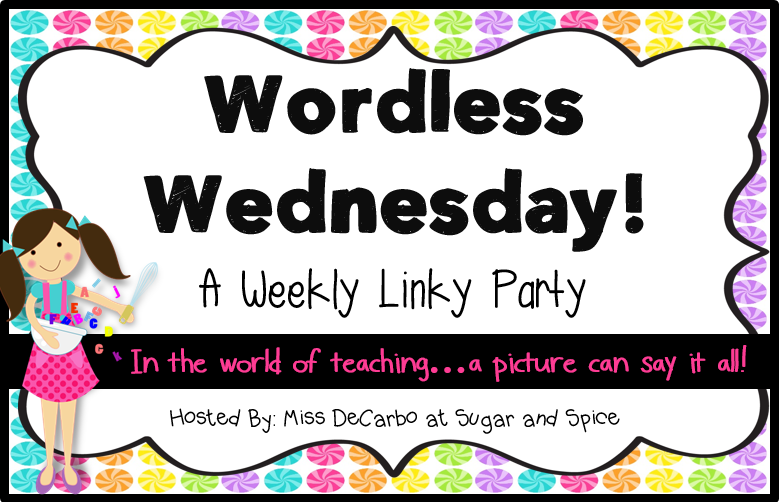 She is so clever to think of such a fun, easy linky party. I love to look at pictures! Anyway, I bought this at Mardel (Click the link to go to the shirt's product page) today for only $7.99. I'm totally teacher-nerding out. I'm seriously in love with it. What makes you totally nerd out about going back to school? I love school supplies!!! I love organizational products!!! Setting up and organizing my classroom totally make my day! There you go introducing me to new websites to fall in love with! That shirt is adorable! We may, just may, have to be twins again! What makes me nerd out about going back? I love the feeling of "ahhh" when the classroom is set up and braced for a new year. So I will be nerding out on organization items soon! Love that shirt Alisha! Do you guys get to wear jeans on Fridays at school? I would totally rock that on Friday ;) So happy to be your newest follower! I'm your neighbor over here in Kansas!